A Triathlete's Journey to Ironman & Beyond: Nutrition - The easy excuse! The first of many topics that I have been thinking about to blog on. 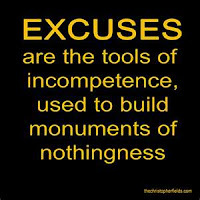 In the 5 or so years of being in the "Ironman" caper, I have found this to be the main "excuse" for people not getting the outcome they expect or desire! Like with the 3 disciplines in the world of Triathlon, nutrition is no different in getting the preparation right. If you prepare correctly in training, there is NO reason why things can't go right on race day. So, why do people fall back to this?? 1. They never really try to get it right in training, just touching the edges in exact race quantities. I have also found that people like to see how much training they can get done on such little nutrition. Like it is a "bragging point". Why?? I have no idea, many people use lack of nutrition as a way to lose weight. But when it comes to race day, you try to load your body up and the body is just not used to it. So common sense comes in here and if your body is not used to the quantity that you are trying to consume, clearly something is going to go wrong! 2. Not researching what is on course for race day. Purely and simply, if you don't do your research, you are not preparing yourself for the best race you can have. If you don't prepare, you prepare to fail. 3. Failing to have a race plan to accommodate changing conditions. In my last 2 Ironman races, I have vomited for a good portion of the bike leg. Why this is, I am unsure, I think in Hawaii, it was that the weather was so hot and the fluid so cold, so a shock reaction. What did I do?? I let the bottle warm a little on my bike before I started intake..... Now over there, it was only 1k or so before I could stomach it. Rather than use this as an excuse, I altered my tactic. There is nothing wrong with changing things on race day to suit how your race is going. 4. People never admit that they maybe just do enough training in general to get the result they wanted, so it is just easy to blame "stomach issues". Simply, if you do the correct preparation, you get the result you want. 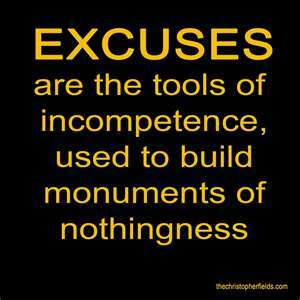 If you are using excuses, you haven't prepared properly. I am not saying everything goes right all the time, but if you have a few options up your sleeve from previous situations, you can adapt quickly and get on with the job at hand. 5. Last but not least, the one that baffles me the most. Trying NEW things on race day. The biggest no-no in this caper. Partaking in this is just the perfect recipe for disaster, or the easy one to make an excuse for. What I don't understand is that part where people think that the body can handle something new under race conditions, under race stress. If you have never tried it in training, why on earth would you consider it on race day? What makes you think that it could possibly go right?? Yeah, maybe you will get away with it 5% of the time, but the other 95% means you are just wasting all that time, energy, dedication and commitment by a stupid decision. One thing that I have also learnt in this sport is those you have decorum and understand that not everything can go right in every race or situation are those you get results. They are the people who change things up until they get the right combination. The people who go searching for something different to get a different result. As the great Albert Einstein quoted: "The definition of stupidity is doing the same thing over and over again and expecting different results." So why not try and change your mindset, your strategy and ultimately..... YOUR RESULT..